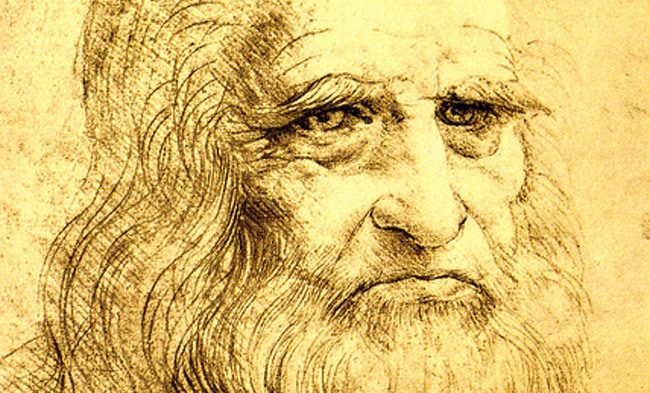 Many know Leonardo da Vinci as the Italian Renaissance genius who painted the Mona Lisa. Few are familiar with Leonardo’s moral views. Not only was he a generous humanitarian, but he also cared deeply about animals. One of his earliest biographers, Giorgio Vasari, assures us that Leonardo was “fond of all animals, ever treating them with infinite kindness and consideration.” As proof, Vasari recounts stories of encounters Leonardo had with bird traders in the market. On such occasions, Leonardo would often buy birds, and then release them into the sky. He could not bear to see an animal of the air confined to a small cage. Leonardo’s compassion was not restricted to birds though. It is said that he abhorred violence toward any animal. The Italian explorer Andrea Corsali, in a letter to his patron, reported that the members of a people he came across on a trip to pre-colonial South Asia “are so gentle that they do not feed on anything which has blood, nor will they allow anyone to hurt any living thing, like our Leonardo da Vinci.” Leonardo himself wrote that, rather than being the king of all animals, man is the king of all beasts, as he has made his gullet “a tomb for all animals.” From this, and other historical evidence, we may conclude that Leonardo was an ethical vegetarian. He refused to be a party to the unnecessary killing of animals, repulsed by the thought of other sentient beings having to surrender their precious and unique lives for his palate. This view was radical in Renaissance Italy, probably even more radical than it is in most societies today. Not without a certain pride, I observe the same compassion that was present in Leonardo in my three-year-old niece. For Christmas, I gave her an illustrated book that tells the story of Perfect, the pig. At one point in the story, Perfect falls into the hands of a vicious man. The man mistreats and exploits Perfect. My niece instantly grasped that part of the story when she first flipped through the book. Before I could actually read the story to her, she took the book and hid it in the darkest corner of her room. “It’s too sad,” she said. I explained to her that Perfect will be saved by his friend, Olivia, and that they will live happily ever after. But my niece would have none of it. “It’s too sad.” Children want everybody to be happy, regardless of species. They consider squirrels their friends, and dogs, and polar bears, and goats, and goldfish. Children naturally empathize with animals, and they can easily imagine how they would feel if put into a cage or beaten. If my niece understood how meat is produced, she would say, like I imagine Leonardo did, “no, thanks, I’ll have vegetables instead” (to be honest, it is more likely that her preferred meat-alternative would be chocolate cookies). As we grow up, we lose much of the natural empathy children have. We are taught that eating meat is “natural”. But what is natural is not always good (e.g., war and disease), just as what is unnatural is not always bad (e.g., cell phones and modern medicine). We are taught that eating meat is “necessary”. But we can live healthy and long lives without meat (I myself became a vegetarian seventeen years ago, and a vegan about eight years ago, and I’ve never felt better). We are taught that we should look after humans first. But why can’t we care for both? We are taught that the serious concern for animals that comes naturally to children is sentimental or radical when displayed by adults, and that the appropriate response is ridicule or bewilderment. But what if what appears to be mere sentimentality is really a sense of justice? What if Leonardo was right? The animals we eat have lives that matter to them. They have a unique psychological presence in the world and they are capable of experiencing pain and pleasure. They have beliefs and desires, and some of them are self-aware and can use certain forms of language. In important respects, they are very much like us. Yet, we are so preoccupied with our own lives, and with the human suffering in the world, that we do not see or hear them. We do not want to see or hear them either, and we comfortably hide their suffering behind the walls of slaughterhouses. None of us would want to be kept in filthy conditions, and endure serious health problems that come with these conditions, just to be killed at a young age. So why do we impose that kind of life on others, just so we can derive a fleeting pleasure? If you are still looking for a New Year’s resolution, you might want to think about that question. You care about peace and justice, you are compassionate, and you abhor violence and suffering. You know, if you are candid with yourself, that your fridge is, but should not be, a morgue, and that your body is, but should not be, a graveyard. Have the courage to ignore the cynics and follow your heart. Be a catalyst for positive change, say “no, thank you” to meat, and go vegan. — Be radically kind. I wish you a happy, prosperous, and peaceful new year 2014!